Union Minister for Consumer Affairs, Food and Public Distribution Ram Vilas Paswan on Wednesday suggested that fair price shops (FPS) should also be allotted to people belonging to the Scheduled Castes/Scheduled Tribes (SC/ST). 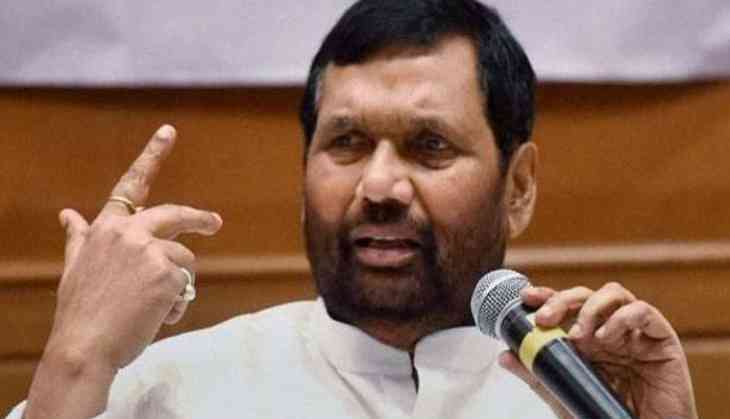 In a letter addressed to state chief ministers, Paswan said allotment of FPS should be done as per the reservation policy in order to generate employment opportunities for those belonging to the SC/ST categories. He expressed this view on Twitter. "I have written Letters to the Chief Ministers of all states for ensuring priority to members of SC/ST in allotment of Fair Price Shops (FPS)," Paswan tweeted. "I have told Chief Ministers that as licence for FPS are being given by state govt, allotment of FPS should be done as per reservation policy," read another tweet. "If allotment of Fair Price Shops are done as per reservation policy, new employment opportunities will be generated for SC/ST members," he tweeted.